Description This is an enhanced print from the glass plate negative. Same as 690a & 58. Photo taken by Will Bickner. 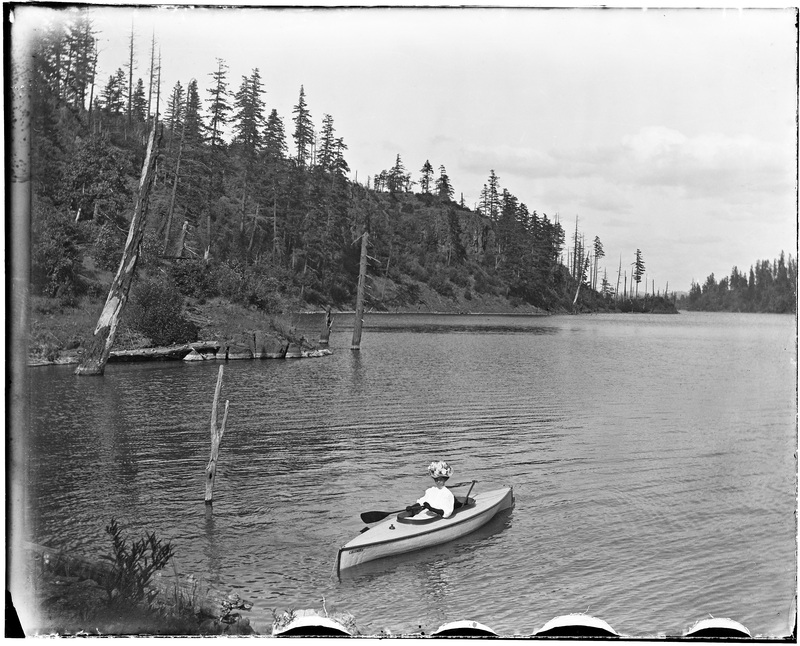 Written on the negative sleeve: Plate; Lillian Bickner canoe on lake.